Knit fabrics can be difficult to work with. They’re soft and fluid, which means they like to slip and slide around while you’re trying to cut them. If you’re not careful, you’ll end up with jagged cutting lines and two layers that don’t match. 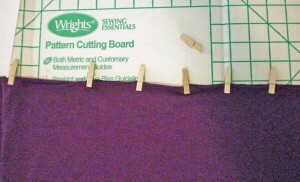 Here are a few tips for cutting knit fabrics. It’s important to use a wide enough cutting area. If your fabric hangs off the edge of a table, the weight of it will distort the part you’re trying to cut, stretching it out of shape. There are two ways of preventing this: 1. Cut your fabric on a wide enough surface that you can lay it completely flat, such as a large cutting table or the floor; 2. If that isn’t possible, you’ll need to roll up the extra fabric along the edge of your cutting table, so it doesn’t hang off the edge. Secure the excess fabric with clothespins or rubber bands to be sure it won’t unroll in the middle of your cutting session. Knit fabrics tend to curl, which can make it difficult to line up the fabric’s edges. It’s also rather slippery. 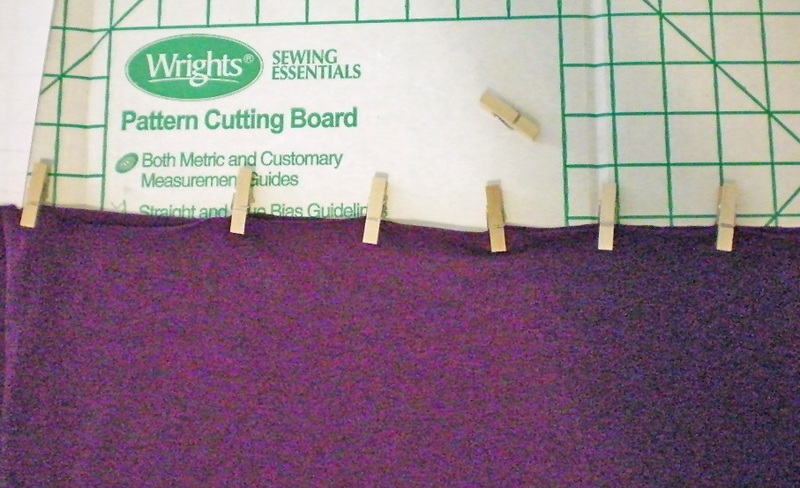 For precise cutting, open the fabric up and cut each layer separately. If you don’t have the time or patience for that, try using miniature clothespins to hold the fabric’s edges together. Place them every few inches along the edge of your fabric. If you cannot find miniature clothespins, small binder clips will also work. Standard pins can snag or leave permanent holes in knit fabrics. Try using ballpoint pins, which have blunt tips that easily slide between the threads without breaking them. If your fabric is especially slinky or fragile, you might use pattern weights instead. These needn’t be expensive or fancy. Cans of tuna or cat food work fine—and as a bonus, you (or your kitty) can eat them when you’re done sewing! You can make your own pattern weights by gathering a circle of fabric and filling it with a stack of metal washers or anything small, yet heavy. Dull scissors will tear up your fabric, creating rough, jagged edges. 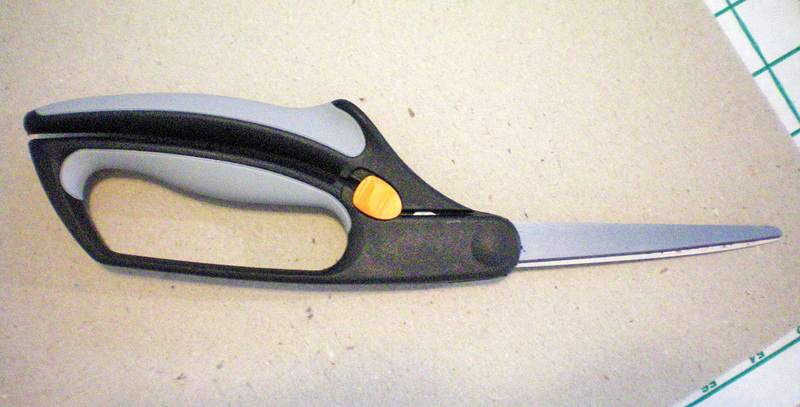 Make sure you use proper sewing shears that have long, sharp blades. “Bent” shears will cut more accurately than straight shears. Spring-loaded shears will be more comfortable to work with, as they automatically open with every cut, saving you the effort. Cut slowly for more control, especially around curves. Have you worked with knit fabrics? Share any tips or tricks you have for successful cutting! This entry was posted in Tuesday's Tips & Tricks and tagged Basics, Fabric, Tuesday. Bookmark the permalink.